Scatteria is 2d platformer shooter based on post-apocalyptic environment. It is inspired by games like Liero, Worms, Soldat and many more. If you enjoy beating your friends in local splitscreen, you are going to love Scatteria! There is now a playable splitscreen demo (minimum requirements: 2 players). Hopefully Steam early access on this year. There is still huge amount of work to do. Scatteria storefront on Steam! Go wishlist it! Hi everybody! I finally took the courage and dedicated to start devlog for my first game ever! Scatteria is 2d platform shooter based on post apocalyptic earth. Main goal is to stay alive, scatter items/weapons/ammo, build cover and kill enemies. art. So I am trying to keep this project as simple as I possible can. Enemies: Aliens? Zombies? Robots? or all together? ^Agreed, the game and color palette reminds me so much of the original Metal Gear, especially with the character design! Thanks guys! I am trying to have recognizable color palette or lets say theme. Like if you think about Matrix or Fallout series, they always had strong theme with the colors. Today I painted first real parallax background and tried to make working bombs that destroys the environment. 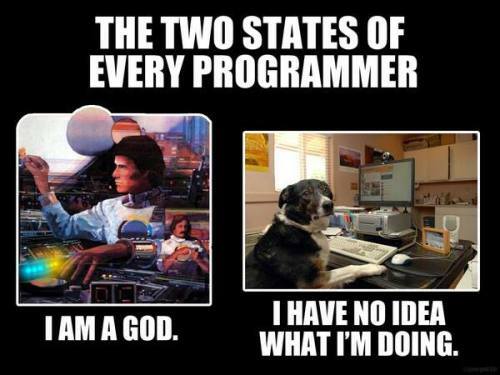 I gotta say that programming for me is like giving math exam for a monkey (aka im not very good at it haha). Was actually funny for a while.. but took me few hours to fix the code to work the way I wanted. I am almost there now! The Bomberman feeling is very refreshing and fun imo. I really like the art too, especially those dull colors, good postapo mood. Yeah Bomberman was one of my inspiration and I only was thinking to have bombs in the beginning to keep it simple enough to make for me. But now when I think about it, I doubt it would be fun enough. Its harder to make the working mechanics for 2d platformer. Hopefully playable (enjoyable) alpha in the end of this year... lets see. Here is some shooting particle animations. I will add more movement for the player later on when I add these to the game. I am trying to get this game into "gameable" condition as fast as possible.. so ofcourse I started making something bit unrelevant for that aka the Game menu. The real options will come later when I know what there is to tweak Other than that, the menu works and I am proud of myself haha! Also I bought BroForce from Steam and that game is just pure awsome, the people who made it must be genius! It had pretty much similar environment destroying feel what I was dreaming to have in Scatteria. Maybe just bit slower pace. Two days, but that parallax effect kicks hard. Be sure I'm waiting for the demo! Until then, I'll survey your thread. Yeah, there's definitely something about that color palette. Looks pretty sweet so far; I kinda feel like I wanna just jump into it right now! Have fun and don't be a stranger; if you get stumped, toss any questions into the Technical forums for help. I had to make some more planning for the game to get some outline. Mindmapping is great tool to get some ideas for the game and fast. Here is what I made in 15minutes session. Maybe it opens up what is the game about bit more. Next step is to plan everything Scatteria needs to be the simplest playable version and put everything on schedule. Also I got to buy Xbox controller for pc (or other if you guys have any recommendations)? This week I will try to concentrate working on controls. and while I was playing with the Unity particle effects I accidently made snowing effect! Also made first iteration of the HUD and added some placeholder sound effects, which actually boosted up alot the immersion! I am definitely the dog there haha..
Nearly 1 month from last update! Gotta get back on track again! I think these last few days I been definitely made something that I was sure not the get done by only myself, aka the inventory system! Currently very simple, just and one Game Object under the player in Unity which holds a generic list of all the child gameobjects (weapons). Then change the weapon (deactivates the gameobject and activates next one in list). Pretty good archievement from me with C#! and it works GREAT! Communicating with atleast three different scripts was the hardest part but after getting it working I feel really good! I always had problems with null referencing. Also today I made working ammo box that fills the ammo of currently selected weapon. After the inventory script communicating with other scripts the ammo box was actually fast to do... I think im actually learning lots of stuff doing this game already!! Also I have little bit new environment tiles made and some prop elements for it. Sry for bit blurry image.. I have been doing all these with tablet (Surface Pro 2) and I dont have Photoshop in this machine. Good to hear some news from Scatteria! I like what I see, I like what I read, I like it! Good luck and cya Sazem! ...only the background images could have one or two more colours for a more impressive shading. The animation reminds me of the old amiga-games "Persian gulf inferno" and GFX like in "Flashback"
The box label said, "Requires Windows 7 or better. ", so I bought an Amiga Computer. Back on business! Almost year without any progress, where did this freaking year go?? Im trying to get playable alpha version (something like 1 versus 1 with splitscreen) done until end of this year. I was very happy with the character anymore, so I kinda started to test with new style. Made it 2x bigger, so I can use bit more pixels. Also the controls are now totally re-done with raycast style, no physics anymore. And the changed the camera to orthographic and made the background parallax working throu code. Started to sketch out the HUD and made some weapons for it. Also sketching ideas for the character movement. My goal is to get aiming & weapon system working next week. At least with one weapon. After that I have to finish the character game object and then invent system how the player & weapon turns towards cursor while example the running animations plays. Probably will animate every part in seperately object and parent them all into the Player GO. End of the next month here is one local lan party, so I was thinking to try get something playable into there. I really have to push for it, but would be nice to get some real playtest going on already! Sidbarnhoorn, ty and hopefully I manage to make that alpha. ps nice musics in your portfolio! about 3 weeks to get the playable version for the lan party. Wow this looks great! I'm a big fan of post-apocalyptic games and the art style in this looks great. Really nice use of colour. And the animations are awesome. The splayed arms and legs before he lands a jump for example! Awesome work! Small update for today. I was starting to plan & sketch out the basic barebone tiling system. First sketching with 4x4 pixels (on the right). Im planning to make the system for the bunkers, that when you go inside the outer (foreground) wall will dissappear. So you can kind of see inside then. Or when you are close to the window, there would be "fog of war" effect, like partially see inside. So taking cover would make more sense than just to be protected from gunfire. Also, I want everything to be destroyable. danespacey , Thanks for the encouraging comments! Im still not 100% happy of the animation but for now they will do. My main concern is the playability. This is also for me the hardest thing to achieve because my programming skills, but that I will have the most attention for sure! So hopefully you will like the gameplay also in the future. No problem dude, I'm more than happy to be encouraging if I like what I see. And even more so if I don't. But luckily for you I do! So for you I have two questions. Question the first - do you know when (roughly) something playable will be available? And Question the second - Do you know what the gameplay will be like? Is it shooting guys and upgrading your weapons? Exploring? puzzle solving? A mix of all three? A secret fourth option? And dude the animations really are great, you've done an excellent job there so don't worry!